The current dispute started at the Ritzy in Brixton in 2014 and spread out to five other cinemas, in Hackney, Crouch End, Piccadily, Dulwich and Brighton. The strikers have gone out of their way to support other people in disputes especially low paid workers like the London cleaners. During the long running Lambeth College strike Ritzy strikers took part in several supportive actions with the nearby Brixton branch, including marches between picket lines. Picturehouse management have responded with intimidation including suspending several reps. The four reps who were suspended at the Ritzy cinema in Brixton have now been sacked and have a case ongoing for wrongful dismissal. Picturehouse management later suspended another rep at Hackney. Picturehouse management have also changed tactics from closing the cinemas on strike days to opening them with new temps and managers from other sites across the country. Rest of UK: Bath, Exeter, Stratford, Southampton, Oxford, Cambridge, Norwich, Henley, Brighton, Liverpool, Bradford, York, Edinburgh. There is also a Picturehouse in Dublin where workers are currently balloting on strike action. 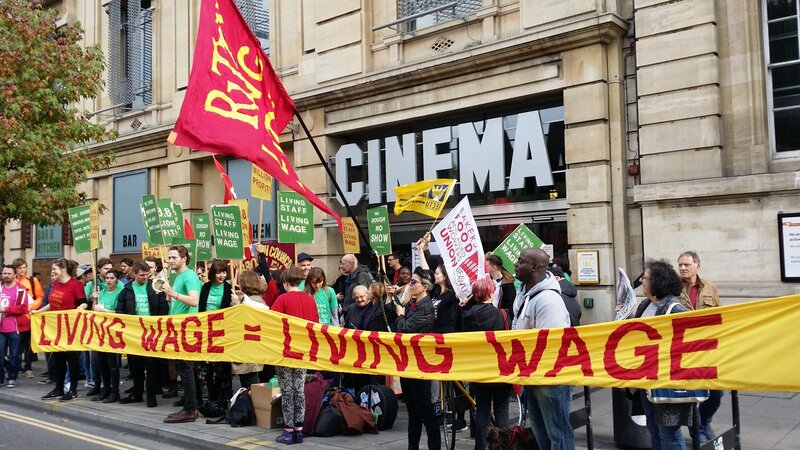 As a long running and hard fought strike in a casualised and low paid industry, it is important that the Picturehouse strike isn't worn down by attrition. The strikers are friendly and welcoming of supporters on strike days, and the picket lines make a real difference to the strike as a lot of customers turn back or get refunds.